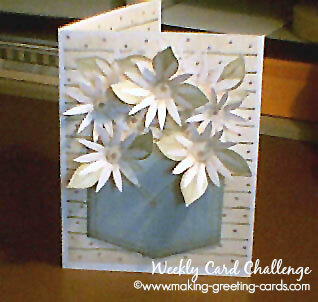 Weekly Card Challenge is a fun thing that we organise each week in the MakingGreetingCards group. 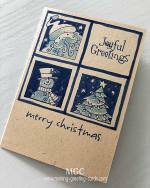 MakingGreetingCards Group is an inspiring community of card-crafters whose passion is creating greeting cards or postcards and sending them out to family and friends. We are committed to bringing cheer, to encouraging one another, and to inspiring others through our arts. To stay creative, we need to challenge one another in fun and meaningful creative endeavours in a friendly environment where we feel safe and not threatened but encouraged to learn and grow. This group strives to be just that and more. Let us enjoy this wonderful people-connecting hobby of card making and make more long-lasting friends along the way. Butterfly Challenge - members were challenged to create cards within the week with at least an image of a butterfly in the card design. Click on the above link to see the beautiful handmade butterfly cards created by participating members of the group. Think Pink : Pink Is A Colour Challenge - members were challenged to create cards within the week with at least a touch of pink in the card design. Cards to be posted soon. A Pocket Full of Posies Challenge - a fun weekly card challenge inspired by the old nursery rhyme: Ring, a ring o' roses, A pocket full o' posies, Up-stairs and down-stairs, In my lady's chamber -- Husher! Husher! Cuckoo! 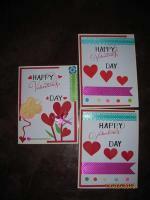 Sweet Sweet Teen Challenge - making a card for a teenage girl. Any design card that a teenage girl would love to receive for her birthday. Tie A Pretty Ribbon Challenge - Use ribbon(s) in the card. A Traditional Christmas Challenge - A red and green theme Christmas. A Christmas Postcards Challenge - Creating Christmas Postcards using one of the postcard templates provided on this site. 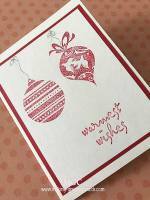 A Business Christmas Cards Challenge - Creating Christmas cards for business use - Business Christmas cards that you can send to business associates - a more serious kind of cards. 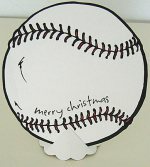 A Christmas Ornaments Challenge - Creating Christmas cards with a Christmas ornament attached to the front of the card as part of the design. Come join the fun and have your cards displayed here on one of the pages in this huge website - viewed by more than 30,000 people all over the world each month.